Pimlico Cleaners Will Give You The Best Clean Possible! It’s getting harder and harder to find the right balance in your life, especially if you work a stressful job or have a big family. With all the stresses that everyday life can bring, it’s no wonder your home or office isn’t looking as clean and tidy as it should. If you find yourself struggling to find any spare time for yourself with your hectic lifestyle, you probably aren’t going to want to spend those rare free hours cleaning your house, tackling stains and shampooing your carpets! We pride ourselves on our expert cleaning abilities, our efficiency and our friendly attitudes, which makes us the perfect company to help you and your family with all your cleaning needs. If you feel as though there aren’t enough hours in the day and you’re looking for a stress-free solution to your cleaning problems, contact our professional SW1 cleaners at Pimlico Cleaners on 020 3540 7836 to find out about some of our great prices and services today! If you lead a busy lifestyle it’s easy to let things like the state of your home fall by the wayside – especially if your family or work obligations need to take centre-stage! But living in a clean, tidy and hygienic home is important not just for your health but also for the health of your family. Keeping your home as bacteria-free as possible isn’t just necessary for your well-being, but having some order and cleanliness can also help to combat unnecessary stress. Our cleaners can relieve all of the worry of house cleaning, SW3 office cleaning, carpet cleaning and upholstery cleaning – so whether you’re sick and tired of returning home to a cluttered house or if you’re looking to have those tough carpet stains removed, our Pimlico cleaners service can help you! At our company we strive to get your home looking, feeling and smelling as fresh and clean as possible. Whether you’re struggling to get your kitchen into shape, remove that bathroom limescale, or get your carpets looking as good as new, our Pimlico cleaning team W1 are just waiting to help you. We offer professional, efficient and friendly services for reasonable, affordable and competitive prices, which means you won’t have to worry about the state of your home or office even if you’re on a tight budget. Our company’s office cleaners can bring a new lease of life to your office. If you aren’t happy with your current cleaning solutions at work then contact us today to see how we can help you! Our W1 office cleaners are experts at what we do – our experience means we’re able to work quickly and efficiently without getting in your way, so we’re able to provide the best Pimlico cleaning service for a competitive price. Our company use only the best equipment and most effective techniques to get your office into tip-top shape. Not keeping on top of the cleanliness of your office cleaning can have an effect on morale in the work environment as well as employee and company sickness levels. Did you know that having an unclean office can even compromise the efficiency of your computer equipment? Dust and small particles of dirt and grime can clog up your machinery, meaning you might be paying to replace or repair equipment unnecessarily? This is where our company can help you. Call us today to find out more! If SW3 domestic cleaning is what you’re looking for to get your house into shape then don’t worry – we’re also the experts at getting your home looking and smelling its best. 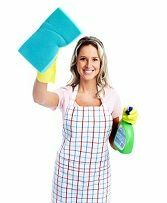 There are no domestic cleaning jobs too big or too small for our team, so if you can’t find the time or if you feel your home needs a proper spring clean, why not see how we can help you? We offer both one-off cleans for a thorough and deep-cleaning experience, and we’re also available for regular services, so no matter what your needs may be we’re more than equipped to help you out! Our company’s SW3 upholstery and carpet cleaning can be difficult and time-consuming, and if you don’t know what you’re doing you could end up causing damage to your furniture and floors. Our company relies on our expert knowledge to provide your upholstery and carpets with the best care imaginable, without you having to lift a finger! If you’re sick and tired of your carpets looking worn and dirty, or if your upholstered furniture isn’t up to scratch then why not call in the W1 cleaning experts? Your home can very easily become a breeding ground for germs and bacteria so it’s important you try to keep up with your domestic chores. We understand that this isn’t always achievable, which is why we aim to bring you the best possible cleaning experience for a fantastic price. You shouldn’t have to compromise when it comes to the conditions you and your family live in, and there’s no shame in asking for a helping hand. We won’t only get your home or office sparklingly clean, but we’ll also go above and beyond to ensure that you’re getting the best clean available. Our cleaning experts will get your house or your office looking cleaner than it’s ever looked before, so call us today! Our company is set in the heart of Westminster City, London, one of the most well-regarded areas of the city. If you live in the area and you’re looking for the best, most reliable and affordable cleaning service SW1 for allyour domestic and office cleaning SW3 needs, why not give Pimlico Cleaners a call today on 020 3540 7836 to find out more about our company, our prices and to see what we can do for you and your family today!